← Queen – In The Lap Of The Gods. 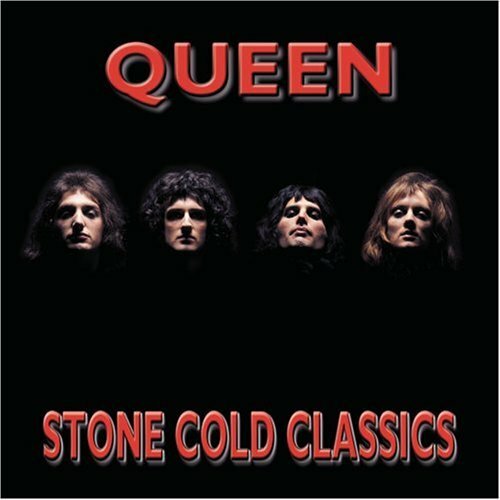 Queen – Stone Cold Crazy. Publicat pe 10 iunie 2015	de Cristi M.
In early 1986, Queen recorded the album A Kind of Magic, containing several reworkings of songs written for the fantasy action film Highlander. The album was very successful, producing a string of hits, including the title track, „A Kind of Magic”. Also charting from the album were „Friends Will Be Friends”, „Who Wants to Live Forever” (featuring an orchestra conducted by Michael Kamen), and the de facto theme from Highlander, „Princes of the Universe”. In summer of 1986, Queen went on their final tour with Freddie Mercury. A sold-out tour in support of A Kind of Magic, once again they hired Spike Edney, leading to him being dubbed the unofficial fifth member. The Magic Tour’s highlight was at Wembley Stadium in London and resulted in the live double album, Queen at Wembley, released on CD and as a live concert DVD, which has gone five times platinum in the US and four times platinum in the UK. Queen could not book Wembley for a third night, but they did play at Knebworth Park. The show sold out within two hours and over 120,000 fans packed the park for what was Queen’s final live performance with Mercury. Queen began the tour at the Råsunda Stadium in Stockholm, Sweden, and during the tour the band performed a concert at Slane Castle, Ireland, in front of an audience of 95,000, which broke the venue’s attendance record. The band also played behind the Iron Curtain when they performed to a crowd of 80,000 at the Népstadionin Budapest, in what was one of the biggest rock concerts ever held in Eastern Europe. More than one million people saw Queen on the tour—400,000 in the United Kingdom alone, a record at the time.